For me there’s nothing more exciting this year than the return of Arrested Development. I’m a diehard fan of the show and was crushed when Fox cancelled it. So when I heard the news Netflix was going to bring back the series for a fourth season and a movie would be made, I was really excited. But after a while, I become concerned. The reason being is because I may be putting my expectations too high, which I’ve tried not to do after Prometheus last year. To be honest, creator Mitchell Hurwitz’s follow-ups to the show haven’t been great. Sit Down, Shut Up wasn’t very funny and while I enjoyed it more than most, Running Wilde wasn’t particularly good either. So maybe I should get my hopes down. 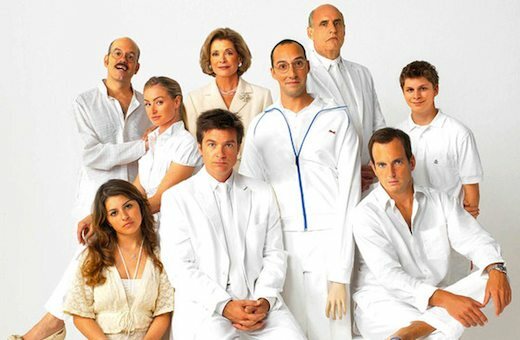 But what do you think about Arrested Development‘s return, or just anticipation in general? On a side note, the Superbowl is today. For my international readers, the Superbowl is the day where all Americans gather in front of the television to watch ads, which are commonly interrupted by a football game. This year, the San Francisco 49ers are playing the Baltimore Ravens. Who do you think will win? 49ers will take it. Enjoy the game! I feel the 49ers will win as well, though I’m rooting for the Ravens this year. Me too. Don’t forget to send me your info man. Definitely gonna go with the 49ers. I think they will as well. I have a feeling the Ravens will pull it off. Should be a close game though. As for Arrested Development, I have low expectations. I want to love the new season, but it’s not going to be easy to pick up where they left off so many years later. I figure with low expectations it will be a lot harder for me to be disappointed. I feel that the 49ers will win, but I really hope the Ravens will. I’m trying to have low expectations as well. I have faith Hurwitz can pull it off but I don’t want to be disappointed. Thanks for commenting. When I heard about Netflix reviving Arrested Development, I blue myself. 🙂 I can’t wait. I wouldn’t worry about it too much. I have faith in the writers and production team. Honestly, the producers getting the whole cast to come back speaks volumes to the confidence of the new season and movie. Majority of the cast members aren’t really hard up for money or acting jobs. Then again….I’ve been wrong before. So, let us all die-hard AD fans pray to the TV Gods. I have a feeling that the show could be great with the cast and crew returning but I’m still a little worried. I hope AD’s revival will be great. I have a funny one concerning Prometheus: I watched it without any knowledge it was a prequel to the Aliens series. It was on cable and Ridley Scott directed it so I thought I’d give it a chance. This changed my attitude toward the film because I didn’t feel ripped off until the very end. Up til then I was enjoying some of the performances and expecting an entirely different ending lol. If Prometheus didn’t have any relation with Alien, I probably would have liked it more since it mostly teased if it were an Alien prequel or not. Thanks for commenting.